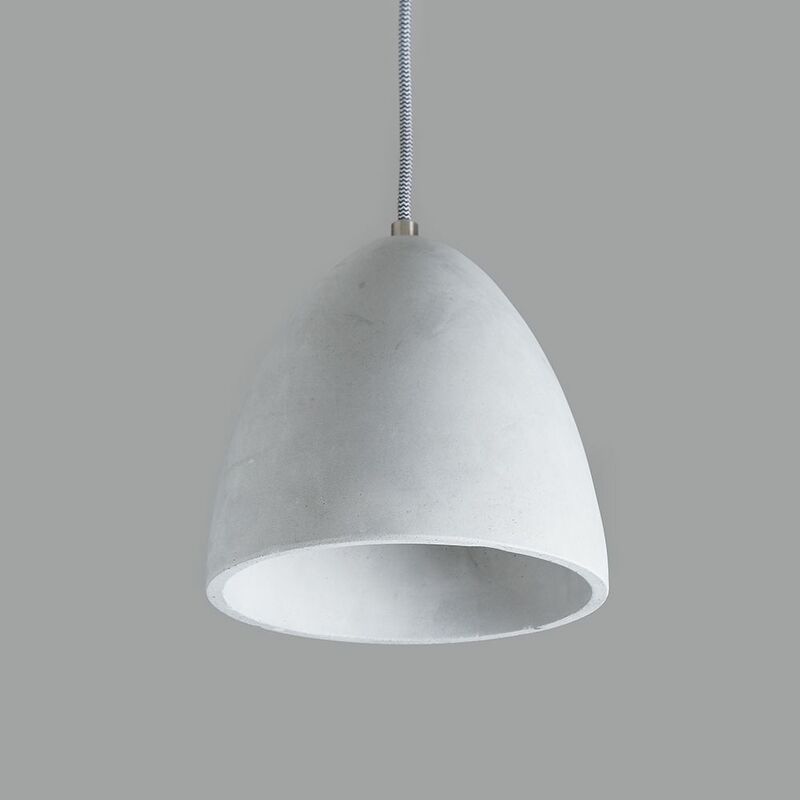 This industrial pendant is made from Béton brut, which is an architectural concrete pioneered by modern architects and used in brutalist buildings like the Royal National Theatre. 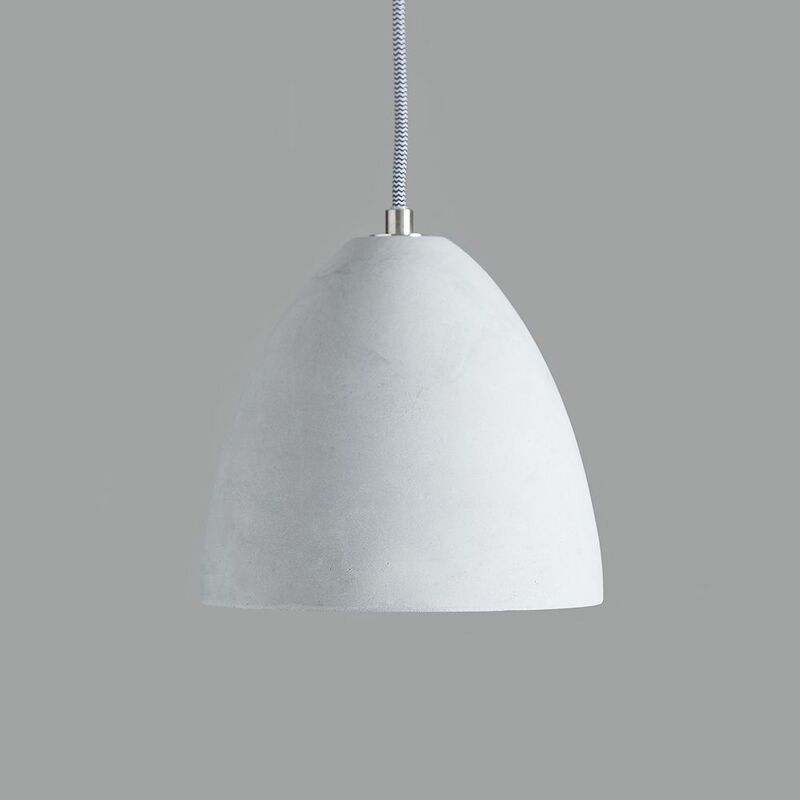 The concrete is left unfinished or roughly finished after pouring and left exposed visually and looks great lit or unlit, with the concrete giving a soft, warm glow. 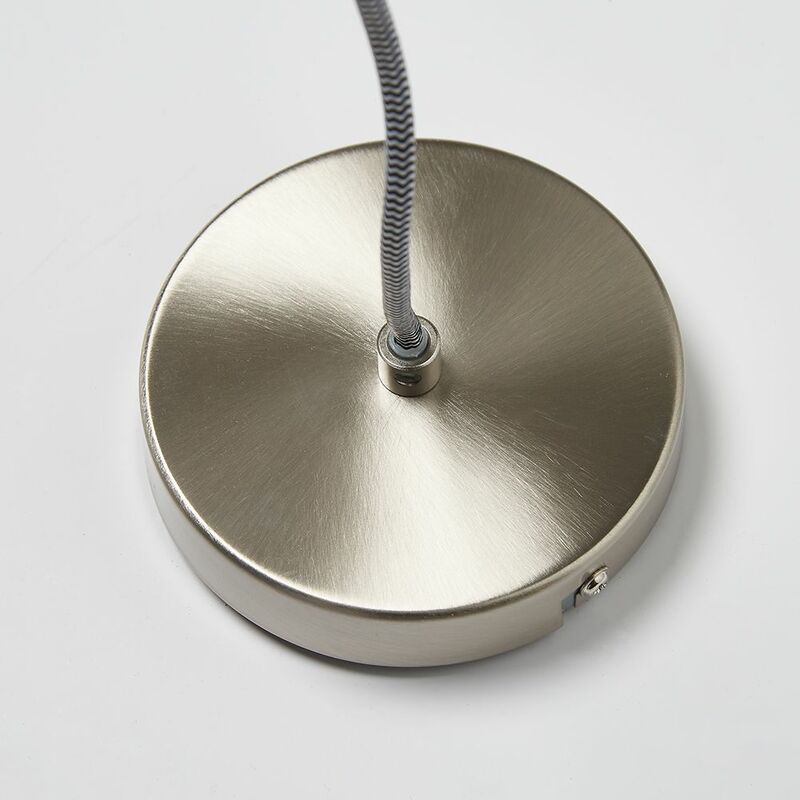 It comes with approximately 95cm of traditional flex that can be shortened to any length and a metal ceiling rose, as shown. Takes a standard E27 (large screw - max. 40W or low energy equivalent) bulb and is dimmable. 20cm dia x 18cm high.